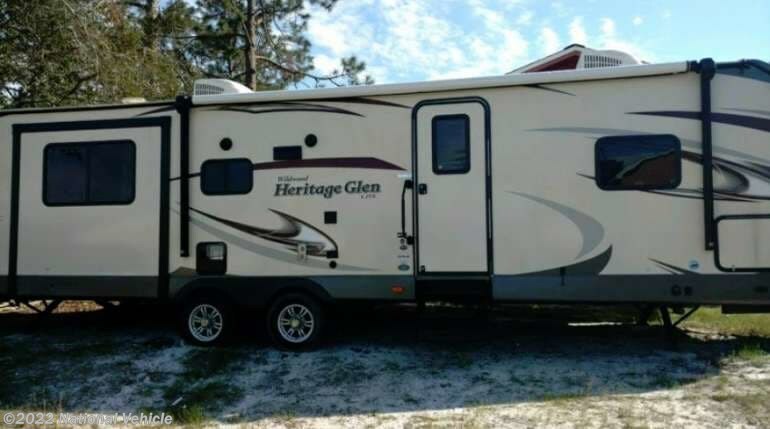 2018 Forest River Wildwood Heritage Glen 299RE 35' Travel Trailer. 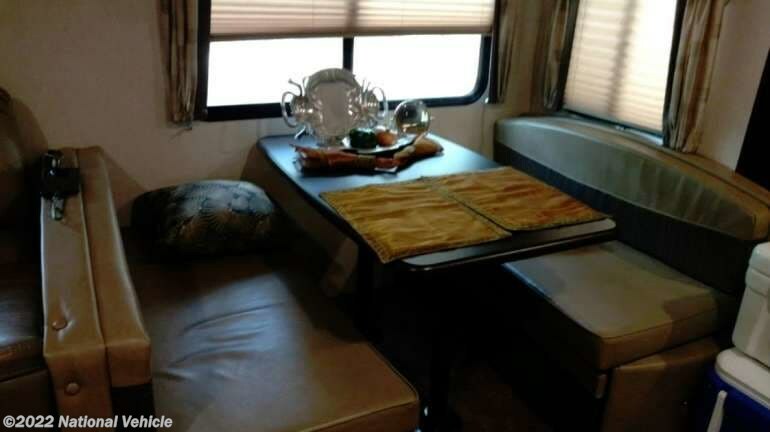 3 Slide Outs, Patio Awning, Sleeps 6, Dual A/C Units, One-touch Stabilizing Jacks. 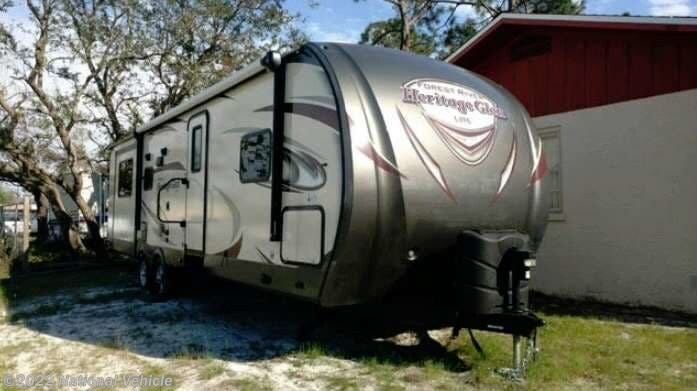 The Wildwood Heritage Glen 299RE travel trailer by Forest River offers a rear entertainment center and triple slides. As you enter the model to the left is a corner linen cabinet, pantry, three burner range, microwave, and double kitchen sink. One slide offers theater seating. 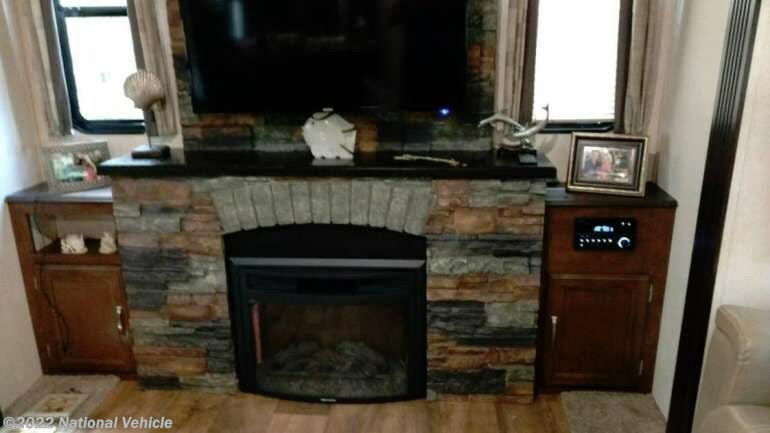 The rear wall has an entertainment center with a fireplace below. 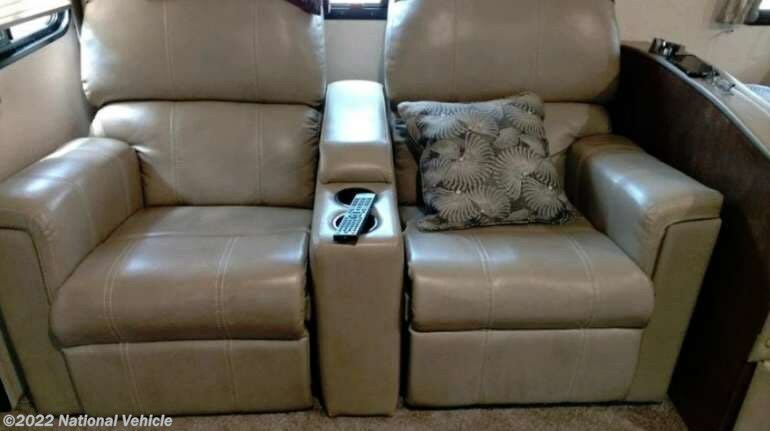 The other slide has a tri-fold sofa and u-dinette. 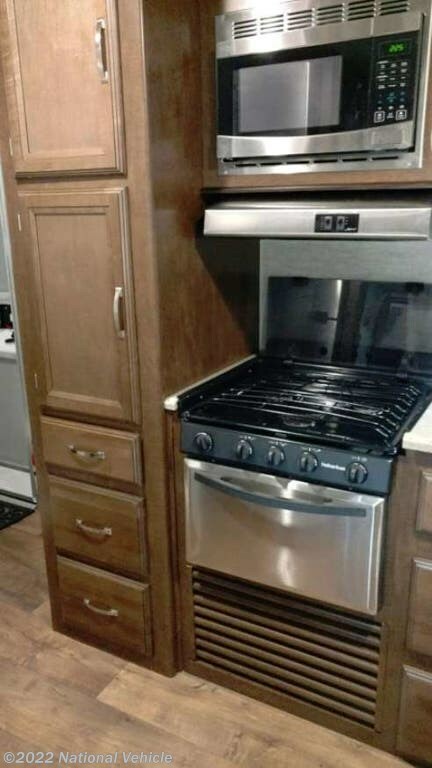 Next to the dinette is a refrigerator. The side aisle bathroom has a toilet, radius shower, sink, and medicine cabinet. There is a private entrance from the bathroom into the bedroom. The bedroom offers a wardrobe slide, a comfortable queen bed and a nightstand on one side of the bed and a wardrobe on the other side. 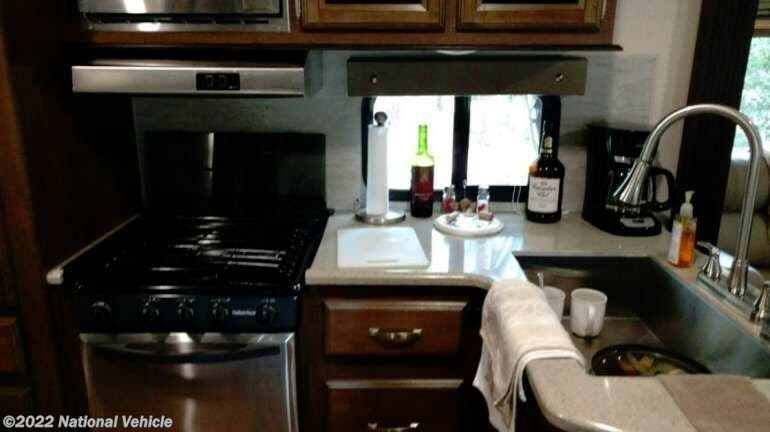 There are plenty of overhead cabinets throughout the travel trailer, as well as a large exterior pass thru storage, and much more. 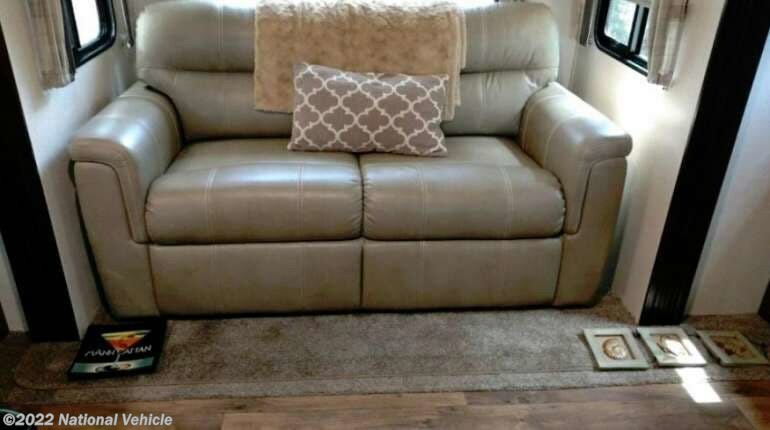 *This 2018 Forest River WildWood is located in Panama City, Florida.  Please call 1-800-320-9557 and mention listing id: 137403. Check out Stock # c549563 - 2018 Forest River Wildwood Heritage Glen 299RE on forestriverrvsource.com!